P.A.R.T.S. INC. – PARTS AND REPAIR TECHNICAL SERVICES, INC.
Keeping your aircraft like the UH-60 in the air is what we’re all about. P.A.R.T.S. Inc. supplies real-time updates to you to keep the guesswork out of tracking information and items. The F-15E “Eagle Eye” aircraft is equipped with a low-altitude navigation and targeting infrared which allows it to fly and see at night, day and in any weather conditions. The F-16’s maneuverability and combat radius (distance it flies to enter air combat, stay, fight and return) exceeds other potential threatening fighter aircraft. Demand for U.S. aircraft parts and personnel has never been stronger so look to P.A.R.T.S. Inc. to fully have your back when you’re performing combat support. The E-3 Sentry can fly a mission profile for more than eight hours without refueling. Consequently, shouldn’t you connect with P.A.R.T.S. Inc. to keep this bird flying high? The B–2A Spirit is an intercontinental bomber which employs low-observable technology to achieve its mission. P.A.R.T.S. Inc. helps support this “stealthy” craft. P.A.R.T.S. 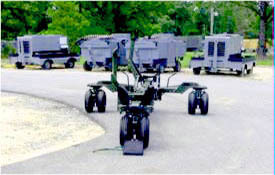 Inc. teams are specialists in the export of U.S. made aerospace parts and repair, equipment, and personnel. We understand the logistics involved in getting aircraft parts as well as technical support out of the U.S. into global markets. P.A.R.T.S. 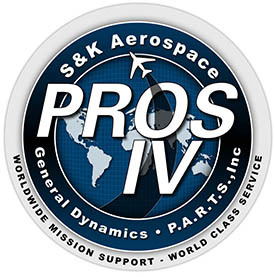 Inc. is a proud partner of PROS IV - The Parts and Repair Ordering System (PROS) Procurement System. Check P.A.R.T.S. Inc. Searchable Inventory Database Online! Parts And Repair Technical Services, Inc. represents more than 140 U.S. aircraft parts manufacturers, specializing in urgent, non-stock listed, hard-to-find, or obsolete parts. 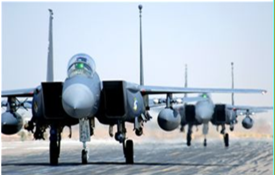 We also specialize in providing defense-related training programs, and currently hold a contract with the Royal Saudi Air Force to provide F-15 Flight Line Training. 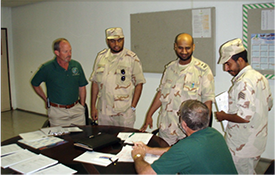 With assistance from the U.S. Commercial Service staff in Atlanta and abroad, P.A.R.T.S. has increased sales of aircraft parts and defense services to Saudi Arabia, enabling us to overcome the challenge of being perceived as just another spare parts supplier. Instead, we are recognized as an industry leader in the Middle East and beyond. PARTNER WITH P.A.R.T.S. INC. TO BUILD OUR FUTURES TOGETHER! P.A.R.T.S. Inc. has the experience, network and infrastructure to handle virtually any order for commercial or military aircraft parts, repairs and technical personnel. Tell us how we can help you.